Oracle maintains its own buffer cache inside the system global area (SGA) for each instance. A properly sized buffer cache can usually yield a cache hit ratio over 90%, meaning that nine requests out of ten are satisfied without going to disk. If a buffer cache is too small, the cache hit ratio will be small and more physical disk I/O will result. If a buffer cache is too big, then parts of the buffer cache will be under-utilized and memory resources will be wasted. You can also measure the buffer cache hit ratio between time X and time Y by collecting statistics at times X and Y and computing the deltas. The db_block_buffers parameter in the parameter file determines the size of the buffer cache for the instance. The size of the buffer cache (in bytes) is equal to the value of the db_block_buffers parameter multiplied by the data block size. You can change the size of the buffer cache by editing the db_block_buffers parameter in the parameter file and restarting the instance. If you set the db_block_lru_extended_statistics parameter to a positive number in the parameter file for an instance and restart the instance, Oracle will populate a dynamic performance view called v$recent_bucket. This view will contain the same number of rows as the setting of the db_block_lru_extended_statistics parameter. Each row will indicate how many additional buffer cache hits there might have been if the buffer cache were that much bigger. SUM (count) "Buffer Cache Hits"
This result set shows that enlarging the buffer cache by 250 buffers would have resulted in 16,083 more hits. If there were about 30,000 hits in the buffer cache at the time this query was performed, then it would appear that adding 500 buffers to the buffer cache might be worthwhile. Adding more than 500 buffers might lead to under-utilized buffers and therefore wasted memory. There is overhead involved in collecting extended LRU statistics. Therefore you should set the db_block_lru_extended_ statistics parameter back to zero as soon as your analysis is complete. In Oracle7, the v$recent_bucket view was named X$KCBRBH. Only the SYS user can query X$KCBRBH. Also note that in X$KCBRBH the columns are called indx and count, instead of rownum and count. If you set the db_block_lru_statistics parameter to true in the parameter file for an instance and restart the instance, Oracle will populate a dynamic performance view called v$current_bucket. This view will contain one row for each buffer in the buffer cache, and each row will indicate how many of the overall cache hits have been attributable to that particular buffer. This result set shows that the first 3000 buffers are responsible for over 98% of the hits in the buffer cache. This suggests that the buffer cache would be almost as effective if it were half the size; memory is being wasted on an oversized buffer cache. There is overhead involved in collecting LRU statistics. Therefore you should set the db_block_lru_statistics parameter back to false as soon as your analysis is complete. In Oracle7, the v$current_bucket view was named X$KCBCBH. Only the SYS user can query X$KCBCBH. Also note that in X$KCBCBH the columns are called indx and count, instead of rownum and count. When Oracle performs a full table scan of a large table, the blocks are read into the buffer cache but placed at the least recently used end of the LRU list. This causes the blocks to be aged out quickly, and prevents one large full table scan from wiping out the entire buffer cache. In the sample result set above, there appears to be quite a bit of full table scan activity in the data01.dbf data file, since 593,336 read requests have resulted in 9,441,037 actual blocks read. 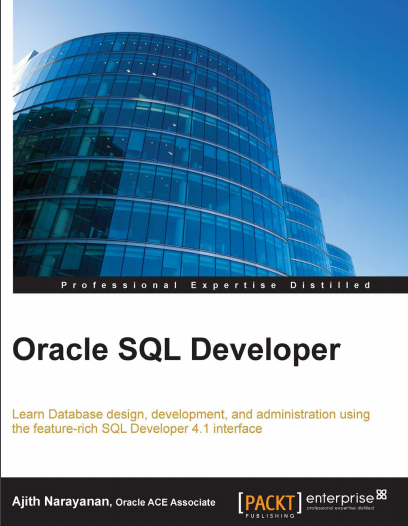 You can review the results of this query to find SQL statements that perform lots of reads, both logical and physical. Consider how many times a SQL statement has been executed when evaluating the number of reads. This brief document gives you the basic information you need in order to optimize the buffer cache size for your Oracle database. Also, you can zero in on SQL statements that cause a lot of I/O, and data files that experience a lot of full table scans.